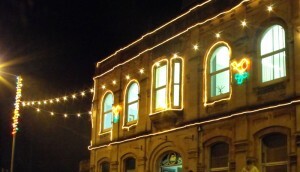 The lights this year will be switched on remotely on the 20th November. In the past the council was able to find a venue where Father Christmas would meet the children of the area handing out boxes of confectionery. Unfortunately the council could not this year find a suitable location.